Every year since I've been born, someone (or multiple someones) has given me a new ornament each Christmas. At 30... (something!) I have quite the collection and love unpackaging them each Christmas season! My mom has now continued the tradition for my kids and I look forward to the box of ornaments they will take with them someday. I love how she selects something special for each child whether it be their favorite sport or activity or something that is meaningful to them. Enter the Bradford Exchange. They have a wide selection of specialty Christmas ornaments. You can be certain to find something special for anyone on your Christmas list! Disney fan in your house? Go here to see their complete selection. 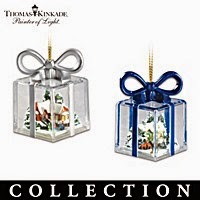 Some beautiful Thomas Kinkade selections. For the girly-girl in your life! STEELER fans! 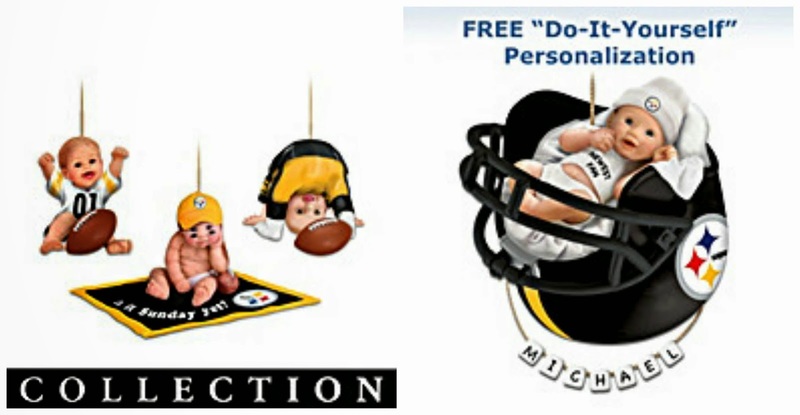 Go here to see their complete Steeler gift selection. 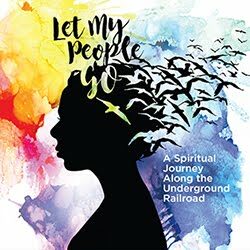 What fun gifts (or for yourself!) 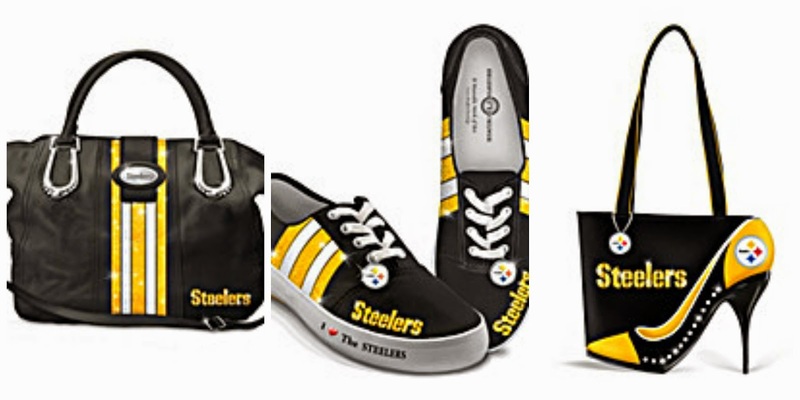 A complete line of Steeler gifts can be found here. They have a wide range of specialty gifts including jewelry, collectibles, home décor, dolls, trains & more! Many can be personalized as well. Hope you find the perfect gift for everyone on your list this year! This post is sponsored by The Bradford Exchange. All opinions remain my own. What a wonderful tradition! I think I'm gonna get my daughter the Disney princesses ornaments this coming Christmas. Thanks! My husband took me to the circus for our first date would love to take our son now! Those are just too cute. I get a new Christmas ornament for everyone in my family every single year. I try and get something that is really unique and special. So if I travel somewhere, I will pick up ornaments from the country to give to everyone. But this year I am not going anywhere. This is a great option. Sheila @ Custom Candle Co.